To access the sales package, please click here to fill out a brief form to agree to the Confidentiality Agreement. After completing the form, a Crossman administrator will send you the sales package. 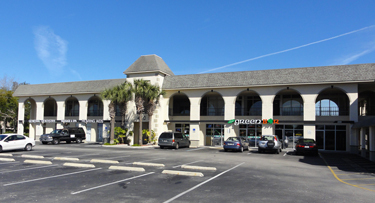 Crossman & Company (“C&C”) has been authorized by the Owner of the Greater Mall located at 400 – 484 State Road 436, Casselberry, FL (“Property”) with respect to the offering for sale. The owner of the Property (the “Owner”) has indicated that all inquiries and communications with respect to the contemplated sale of such Property be directed to C&C. 1. All Marketing Information pertaining to the Property which may be furnished to the Prospective Purchaser by C&C shall continue to be the property of the Owner. The Marketing Information will be used solely for the purpose of the Prospective Purchaser and may not be copied or duplicated without Owner’s or C&C’s written consent. 2. The Marketing Information may be disclosed to the Prospective Purchaser’s partners, employees, legal counsel and institutional lenders (“Related Parties”), solely for the purpose of evaluating the potential purchase of the Property. 3. The Prospective Purchaser and the Related Parties will either destroy the Marketing Information or return it to C&C after one year, upon the sale of the property, or upon C&C’s request. 4. Neither Prospective Purchaser nor Related Parties may contact tenants or vendors of the Property without written consent from either Owner or C&C. 5. The Prospective Purchaser understands and acknowledges that C&C and the Owner do not make any representations or warranty as to the accuracy or completeness of the Marketing Information and is not guaranteed as to the completeness or accuracy. 6. The Prospective Purchaser hereby indemnifies and holds harmless C&C and the Owner and their respective affiliates and successors and assigns against and from any loss, liability or expense, including attorney’s fees, arising out of any breach of any of the terms of this agreement. 7. The Prospective Purchaser acknowledges that the Property has been offered for sale subject to withdrawal from the market, change in offering price, prior sale or rejection of any offer because of the terms thereof, lack of satisfactory credit references of any Prospective Purchaser, or for any other reason whatsoever. This agreement terminates one (1) year from the date hereof except as to written claims by Owner against Prospective Purchaser prior thereto. The parties acknowledge that breach of this agreement will cause irreparable harm and that the granting of injunctive relief would be necessary in addition to other remedies allowed by law, to provide an adequate remedy. If in agreement with the foregoing, please return by email a fully executed copy of this agreement to Brian Carolan or Wanda Grace, phone (407) 581-6242 or (407) 581-6220; Email to BCarolan@Crossmanco.com or wgrace@crossmanco.com.